Is Activision Following The EA Route Of No Single-Player Modes? When gamers hear the word “Activision”, most gamers would recall its flagship game: Call of Duty. Because of the multiple Call of Duty installments, most gamers would think that Activision would be going the no single-player mode route. Most of the game modes it offers often requires multiple players. Because of this, some people would even call Call of Duty to be more of a LAN game or a party game. With the multiple genres they’re in, they appear not to have a specific specialization unlike some other game developers. Because of this, people are wondering: is Activision following EA’s footsteps into becoming a multi-player game? Because of the success coming from Call of Duty, most people associated Call of Duty with their company. The multi-player shooting game became a big success especially when First Person Shooters suddenly became a trend again. However, this success may also be the reason why people often times thought that Activision was a competitor against EA in the Multi-Player division. Does Activision have games with single player mode? Activision does have games with single player modes. Unfortunately, not many people are even aware that they did have a hand in creating some of these single-player games. Some of these Single-player games include Prototype 1 and 2, Spyro Reignite, Crash Bandicoot N.Sane Trilogy, and their latest addition – Sekiro Shadows Dice Twice. Because of their overwhelming success with Call of Duty, most gamers don’t even know that Activision published these games. Among the gamers, they are known for creating party games or multi-player games. Multi-player games like Call of Duty and even Destiny 2. Their entry last year to Sci-Fi, Destiny 2, had both Single-Player function and Multi-player. Especially when Destiny 2 revealed Raids. Players then became more community focused because of the demanded level of coordination. If they went down the same road as EA did, they would eventually lose out on the market. 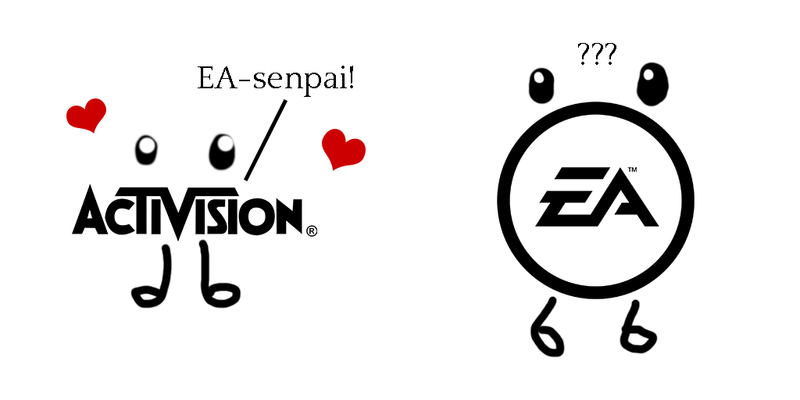 Their brand would fade behind EA and if they were following EA, they may as well fuse. Being a separate company, they need to establish its own brand and style of games that it publishes instead of following another company. EA’s main source of income comes from their FIFA and NBA games which would always have customers. However, Activision is better off publishing games that are different from EA. That way, they would no longer have to compete for an audience and instead have a steady income flow of players that look forward to their games.